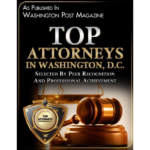 How To Hire the Best DUI Lawyer for Your Case in Maryland? Good defense attorneys act swiftly when a driver charged with an alcohol related offense comes to their office. Vigilant attorneys analyze police reports to determine whether officers followed proper procedures while stopping and arresting DUI/DWI suspects. Police reports of the arrest are reviewed to find deviations which might impair testing accuracy. Weather and road conditions, as well as the attire and medical condition of the driver at the time of arrest, are also noted. They also interview potentially helpful civilian witnesses. After all of the evidence and each element of the case has been reviewed, effective defenses are discussed and devised. 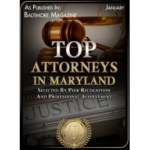 Hiring an attorney to represent you in your Maryland DUI is a highly individual decision. 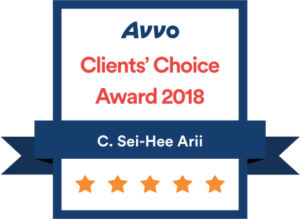 There is no “best lawyer” for everyone and no attorney can ethically say that they are the “best.” Arii Law Firm understands that finding the one lawyer who will best satisfy your needs and help you obtain the best possible outcome may be daunting and overwhelming, but all it takes is just one phone call or email. 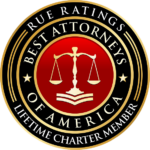 Find out if I am the best fit for you and see how I can help you resolve your DUI, save your license, and secure your job and future without charge or obligation: click here to contact me. I have been defending DUI/DWI charges since 2001. I am a passionate DUI/DWI attorney committed to keeping abreast of DUI/DWI technology and changes in DUI/DWI law affecting my clients. For example, since 1981, law enforcement officers began using the National Highway Traffic Safety Administration’s (NHTSA) Standardized Field Sobriety Test (SFST) at the roadside to help determine whether motorists who are suspected of DWI have blood alcohol concentrations greater than the legal limit. Law enforcement officers receive training enabling them to perform DWI detection and SFTS. 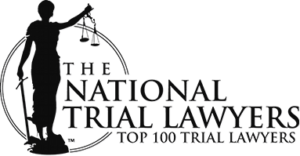 To level the field in court, I received instruction similar to the police NHTSA/IACP Standardized Field Sobriety Test training using the most current training curriculum. In addition, I regularly attend DUI/DWI related courses, such as “Mastering Scientific Evidence in DWI/DUI Cases,” to further my DWI/DUI knowledge base. 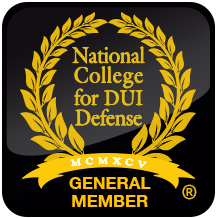 This commitment to DUI/DWI education enables me to be more effective at challenging the validity of Standardized Field Sobriety Tests and breath test devices and their reliability in court which ultimately benefits my clients. If you or someone you know have been arrested for a DUI/DWI please contact me, C. Sei-Hee Arii for a free consultation.